Annual preventive maintenance contracts are great but sometimes trouble arises in between appointments. 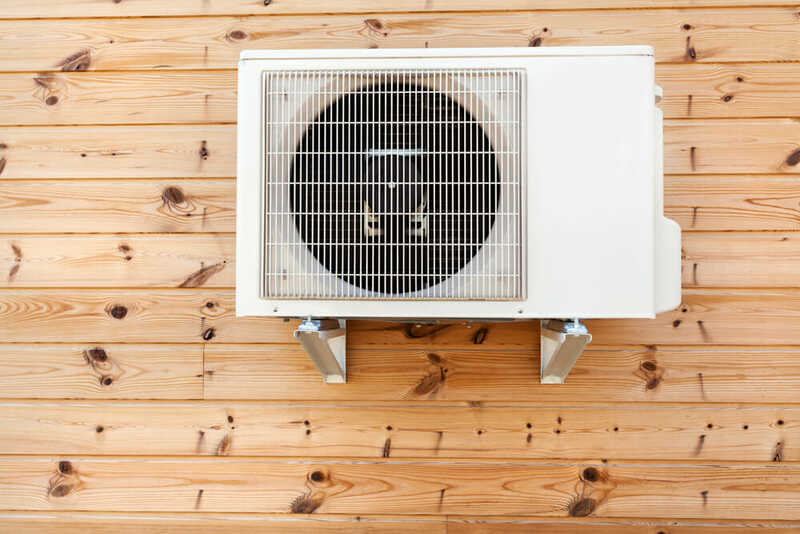 Although most central air conditioning repairs require a professional, there are some things you can do to troubleshoot and even correct your home’s system. When your system loses its power, check for tripped breakers or blown fuses in the circuit breaker box. However, use extreme caution when working around electricity. If the system is running but not cooling, try lowering the thermostat settings by 5 degrees. The system is running but air is not coming out of the vents. Check for a dirty filter and replace if necessary. A dirty filter can lead to ice forming on the evaporator coil, which will prevent airflow. Clean the evaporator coils. A dirty evaporator coil can also lead to ice forming on its coil, prohibiting airflow. Find detailed instructions below. 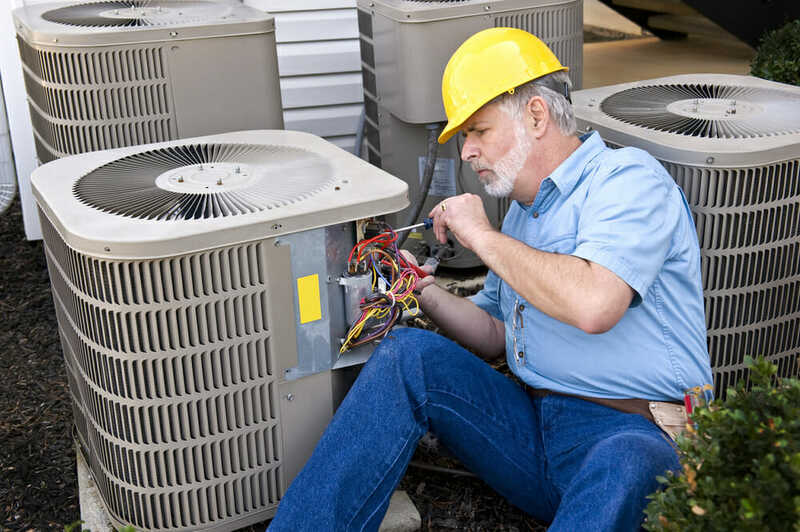 Inspect the condenser outside unit coils for dirt, debris and vegetation that can impede airflow to the compressor. If the compressor cannot breath, it could overheat and shut down. A bottle of coil cleaner sold at most hardware, A.C. supply houses or home improvement centers. If you are unable to locate the coil cleaner, a household bathroom cleaner such as scrubbing bubbles will suffice. Protective gear such as safety goggles and rubber gloves. A drop cloth to protect flooring. Step 1. Turn the power off to the central air conditioning system at the circuit breaker box. Step 2. Remove the air filter on the evaporator unit to expose the underside — the side most exposed to dirt and debris collection — of the evaporator coils. Step 3. Clean the area beneath the evaporator when applicable and vacuum as much of the loose debris from the evaporator coils as possible. Step 4. Mix the coil cleaner when applicable with clean water according to manufacturer’s instructions. Some coil cleaners might not require mixing with water so read the instructions carefully. Step 5. Apply the solution liberally to the evaporator coils using the spray bottle. Be sure to wear your safety goggles and rubber gloves to prevent injury. Step 6. Rinse the evaporator coils with clean water using a plastic spray bottle. Step 7. Vacuum entire area and wipe up excess solution, dirt or debris with clean rags. Step 8. Install a new filter. 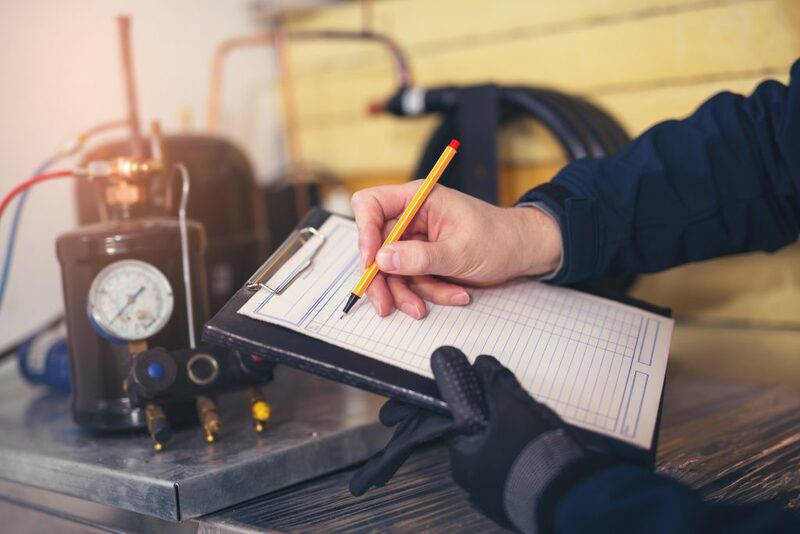 Plunging temperatures and wintry weather can be rough on your heating equipment—and there’s nothing worse than waking up on a cold morning to find out your heater’s given out. And then there’s the issue of your heating bills. Ill-maintained equipment is often inefficient. And that can cause heating expenses to skyrocket. A little preventative maintenance can save you a lot in the long run—but only if you act fast. Here’s how to keep yourself in the clear all the way until spring. A fireplace is a cheery source of heat on a cold winter’s day, but only when they’re kept up with regular TLC. You should have a chimney sweep performed at least once a year. Professional chimney cleaners can remove creosote buildup—a mixture of tar, soot, and debris—which can ignite and cause fire damage if not properly treated. Sweeps should also inspect the chimney liner and outer structure for cracks—the openings that contribute to drafts in your home. Expect to spend $125 to $250 for each visit. Your home’s heating amounts to a lot more than just a furnace. It’s a complicated system made out of vents, ducts, wiring, and registers—all of which operate more efficiently in a home that’s properly insulated. Take a moment to inspect your insulation, particularly in your attic and crawl space. Look for water damage on the ceiling and attic walls, because water infiltration can render insulation ineffective. 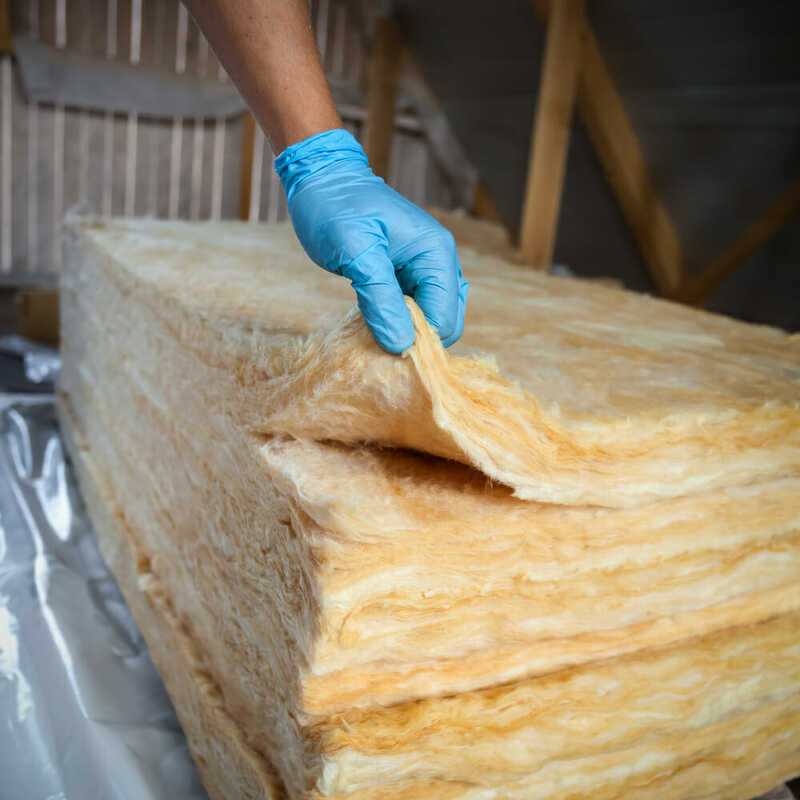 If you have questions about your insulation, you may want to hire a contractor to perform a professional insulation inspection. Inspectors will measure airflow, and they can tell if your insulation has gaps or is inadequate. They’ll also seek out signs of pests like rodents and roaches, critters that love to stow away in attics during cold weather.